1. 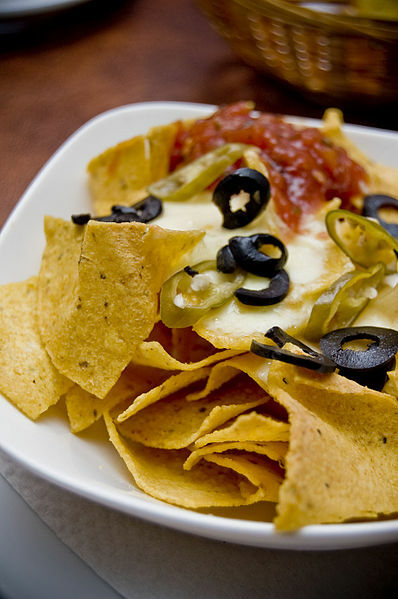 Most tortilla chips are triangular shaped because they are cut from round tortilla. 4. Tortilla chips are considered the most fattening item sold in Mexican restaurants with as much as 2 grams of fat per chip. How handy that I happened to have a pack of tortillas yesterday!!! Cannot beat the humble chip!!! I can never get enough, but I think I agree with Roseanne I need to get an exercise bike to eat them on. Ok … now I need to have some chips! Loved this post, and LOVE tortilla chips! The good news is, if you read the labels, you’ll see that there ARE healthier options on the shelves than 2 grams of fat each! The other benefit to corn tortilla chips, is they’re multi-grain! YAY! There are many other options available now too, like multi-grain flour-based ones, blue corn, etc. Eaten in moderation, they’re good for you. Thank you for liking my Soup’s On! post. Your blog is very impressive and informative and I enjoyed it very much. Iplan to revisit it many times. I love all your food facts, look forward to them each day! PS: In Cali, they served me tortilla chips with butter! Interesting combo. We don’t do that in PR. Given how much cheese is usually in dishes at Mexican restaurants, I am surprised to read that tortilla chips are their most fattening item. I guess I should have said component, but that gets too specific. Considering most meals begin with a basket of chips the majority of the calories of your meal often happens before you get your main course. Your posts are much like the foods I love…they both make me smile. Interesting tidbits on tortilla chips although I could have lived without knowing about the fat content of the mighty chip. And a 150million yr old fossil egg… cool.